We launched the first digital billboard in Central Queensland back in 2016 and now we’ve brought our screens to Rockhampton! On Wednesday the 5th of July we launched the latest addition to our digital billboard catalogue. The launch day, covered by The Morning Bulletin, featured a couple of humorous pieces of artwork dedicated to the cities pride and joy – Bulls! 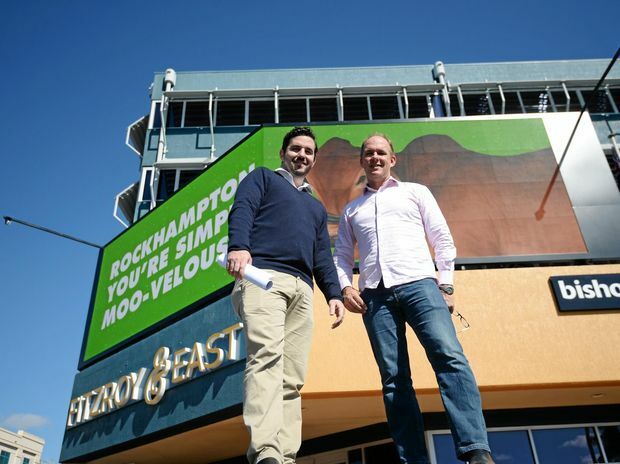 The electronic billboard that comes in at an impressive size of 12 metres long, stands atop the recently revamped 36 East St and will catch the eye of thousands of motorists as they cross the “old bridge” and enter the Rockhampton CBD. Having been in the Rocky community for 26 years, locals are well aware of the Bishopp brand and our chooks. 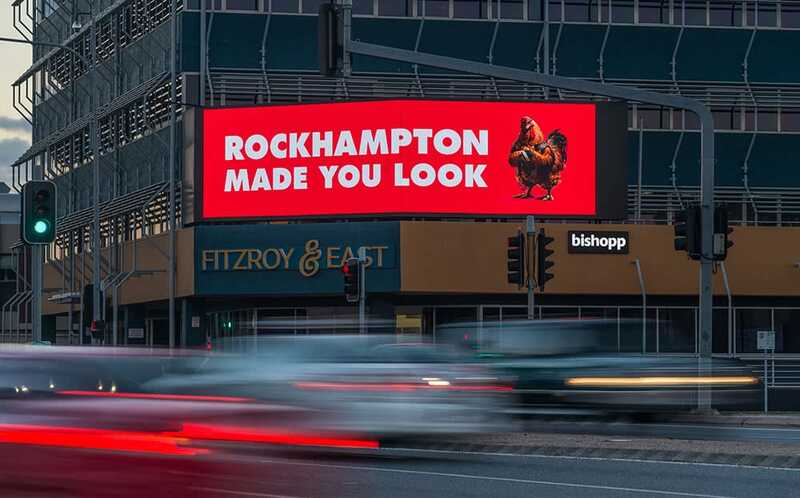 As a way of giving back to the community, we’ve committed 10% of the billboard advertising to the Rockhampton Regional Council – allowing free advertising of community events, important local information and community announcements. We look forward to seeing the many different uses of the new digital asset and if you’re nearby or you have an ad up on the big screen, email us a photo! We’d love to see it. Rockhampton, thanks for having us! You’re one of our best. No bull.